Excess moisture can be a real problem for homeowners in the Wisconsin Rapids, WI, area. Fortunately, there’s an easy solution. Wisconsin’s top air and heating contractor, Guelzow Heating & Air Conditioning Service, is here to answer some common questions about home moisture and explain the role that a dehumidifier plays in improving your indoor air quality. 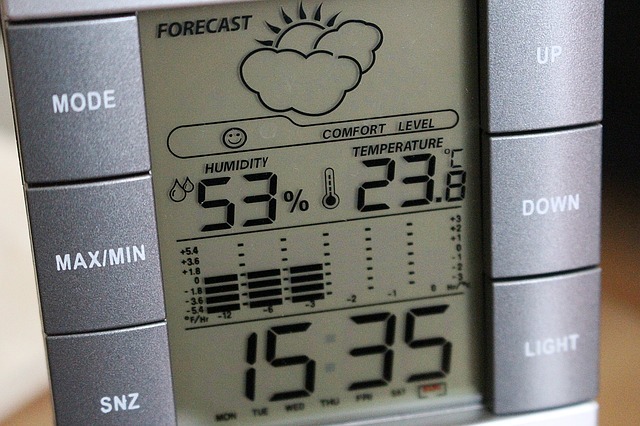 Humidity occurs to some degree in every building, but if the air in your home contains excess moisture due to daily activities like showering and cooking, the air reaches a point where it becomes saturated with water. The moisture transfers to surfaces of your home, like wood furniture and walls. Another common cause of home humidity is incorrect AC installation, where too large of an AC unit is used for the size of your home. Why Is Cutting Down On Moisture Important? If your home has too much moisture, it can cause all sorts of problems. The damp environment is perfect for mold and mildew growth, which can affect your health and the value of your home. In addition, humidity causes an unpleasant musty smell, creates a welcoming environment for insects, and can warp your wooden furniture. How Does A Dehumidifier Help? A dehumidifier is installed in your HVAC system to control the humidity in your home. It uses sensors to maintain the perfect amount of moisture in your home—not so dry that you’re uncomfortable, but dry enough to avoid humidity issues. It operates in the background to keep your home at perfect moisture levels so that you don’t have to deal with any of the problems mentioned previously. What Should I Look For In A Dehumidifier? Automatic Sensors: Sensors allow your dehumidifier to automatically identify when moisture levels reach a certain threshold. Easy Management & Control: Choose a dehumidifier that has a simple control system that’s easy to manage as well as a low-maintenance system that doesn’t require any more than annual air filter changes. Quiet Activity: Your dehumidifier shouldn’t be loud or distracting. It should operate smoothly and quietly without you even realizing it’s working. To find the perfect dehumidifier for your home, contact Guelzow Heating & Air Conditioning Service at (715) 423-1086 or by visiting their website. From AC installation to duct cleaning, the air and heating contractor has the skills and experience to handle all of your HVAC needs.